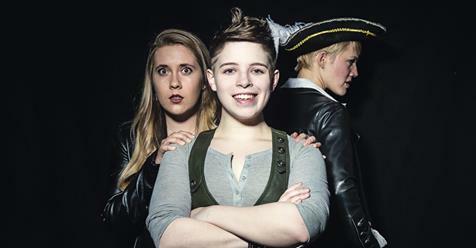 PHOTO CREDIT: (left to right) Steph Vondell as Wendy, Gaby Labotka as Peter Pan and Kate Black-Spence as Hook in a publicity image for Prop Thtr’s production of NEVERLAND. 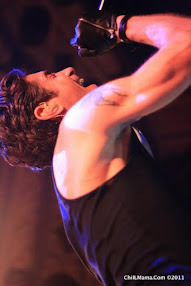 Photo by Matthew Gregory Hollis. Prop Theater has long been a neighborhood favorite of ours, in our Avondale home base. My kids went to summer camp in that space, run by Brain Surgeon Theatre, and my son returned as a junior counselor. I've also enjoyed catching many shows there by Prop Theatre, Beast Women, Rhinocerous Fest and more. 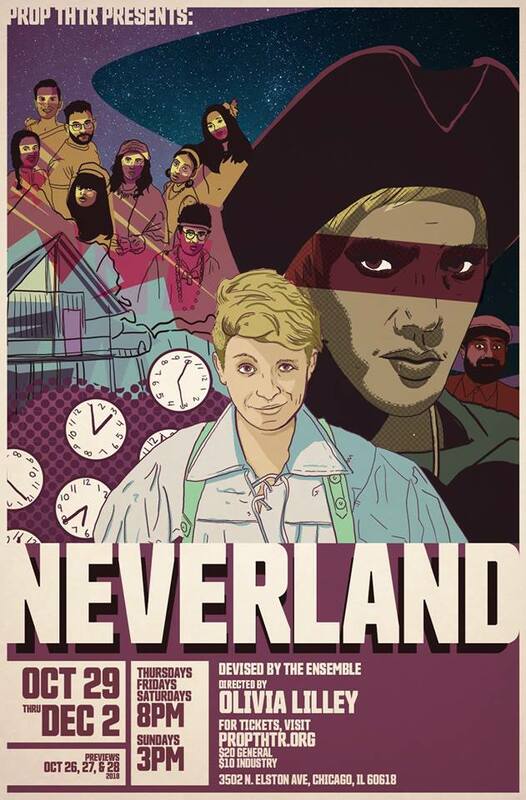 Here at ChiIL Mama and ChiIL Live Shows, we're eager to catch Prop Thtr's season opener, the world premiere of Neverland, directed by Prop’s new artistic director, Olivia Lilley, and devised by the ensemble. Next up will be “Behold, A Pale Horse” (March 8-April 7), devised from Peter S. Beagle’s “The Last Unicorn.” Gina Marie Hayes will direct the immersive journey following the world’s last unicorn. Prop Thtr is pleased launch its 2018-19 season with the world premiere of NEVERLAND, a new devised riff on J.M. Barrie’s Peter Pan, written and directed by the Prop’s new Artistic Director Olivia Lilley and devised by the Ensemble. This riff on the Peter Pan Myth chronicles the final days of Peter’s reign in Neverland, as seen from three wildly different perspectives: Peter’s, Wendy’s and Hook’s. NEVERLAND will play October 26 – November 25, 2018 at 3502 N. Elston Ave. (near Kedzie and Addison) in Chicago’s Avondale neighborhood. 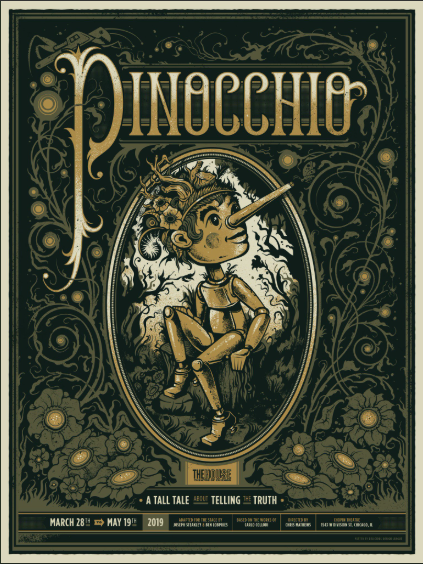 Tickets go on sale Monday, October 1, 2018 at www.propthtr.org. NEVERLAND will feature Kate Black-Spence as Hook, Gaby Labotka as Peter Pan, Steph Vondell as Wendy, Rory Jobst as Smee and Mary Iris Loncto as Tinker Bell with Tyler Brockington, Bernadette Carter, Dylan Fahoome, Mateo Hernandez, Carolyn Waldee, Sissy Anne Quaranta, and Electra Tremulis as The Lost. Understudies: Jenn Geiger and Isa Ramos. NEVERLAND chronicles the final days of Peter Pan’s reign in Neverland as seen from three wildly different perspectives: Peter’s, Wendy’s, and Hook’s. The journey from childhood to adulthood has never been so treacherous than in this “Peter Pan” in the era of Trump’s America. The production team for NEVERLAND includes: Nina D’Angier (scenic design, props design) Diane Hamm (costume design), David Goodman-Edberg (lighting design), Ele Matelan (foley design, props), Catherine Miller (casting director), Tanuja Jagernauth (dramaturg), Madeline Moeller (assistant director), Marlana May Carlson (production stage manager) and Carolyn Waldee (rehearsal stage manager). Cast: Kate Black-Spence as Hook, Gaby Labotka as Peter Pan, Steph Vondell as Wendy, Rory Jobst as Smee and Mary Iris Loncto as Tinker Bell with Tyler Brockington, Bernadette Carter, Dylan Fahoome, Mateo Hernandez, Carolyn Waldee, Sissy Anne Quaranta, and Electra Tremulis as The Lost. Understudies: Jenn Geiger (Peter) and Isa Ramos (Hook). Regular Run: Thursday November 1 – Sunday, November 25, 2018. Curtain Times: Thursdays, Friday and Saturdays at 8 pm, Sundays at 3 pm. Please note: there will not be a performance on Thursday November 22 (Thanksgiving). Tickets: Previews: $10. Regular run: $20. Industry $15. Student, group discounts available. Tickets on sale at www.propthtr.org. Olivia Lilley (Writer/Director) is a Chicago based writer and director of theatre and performance. Her work runs the gamut from irreverent takes on classic texts (Faust: Save me or I’ll die, The Portrait of Dorian Gray) to dance theatre biographies (In Sarah’s Shadow, I Saw The Best Minds of My Generation) to new plays that tackle contemporary intersectional issues (Mary Shelley Sees The Future, Expectations for little mixed girls). Olivia is the founding Artistic Director of The Runaways Lab Theatre (Voted Best New Theatre Company in the Chicago Reader’s “Best Of 2014”). She is the Creative Director of Pop Magic Productions, the Artistic Director of The Prop Thtr and an Artistic Associate with Pivot Arts. Olivia received her BFA in Directing from Carnegie Mellon School of Drama. Since beginning in 1981, Prop Thtr has aimed to create, inspire and assist in the creation of new plays and other time-based works of art. Working closely with established artists as well as emerging, Prop has played a vital role in Chicago’s cultural scene. We incubate, develop and produce new work and emerging artists for the Performing Arts. 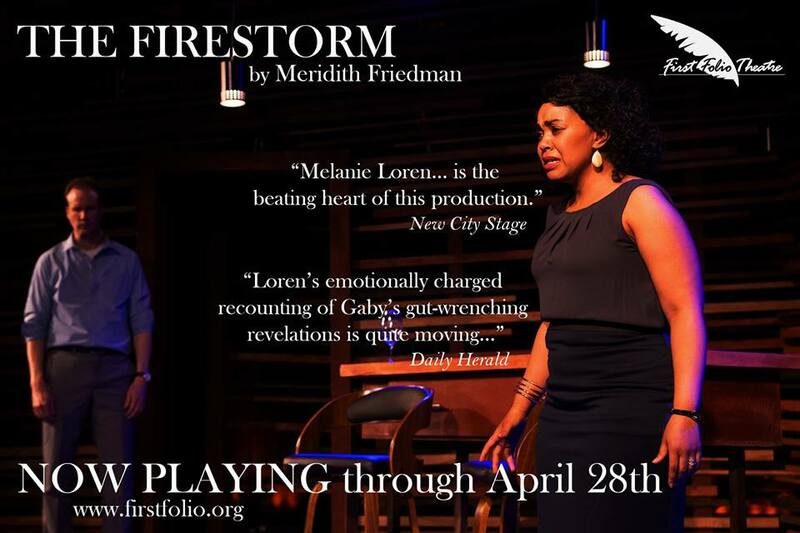 Prop Thtr is a founding Core member of the National New Play Network.